Wikidata is to databases what Wikipedia is to encyclopedias – the free version that anyone can edit. Both aim to share “the sum of all human knowledge” across the world in a multitude of languages, and while Wikidata is younger and has a smaller community, it attracts the collaboration of more than 16,000 volunteer contributors globally each month (up from 14,000 a year ago). Meanwhile, recent years have witnessed a constantly increasing demand and support for Open Access and Open Science across professional research communities and citizen scientists. 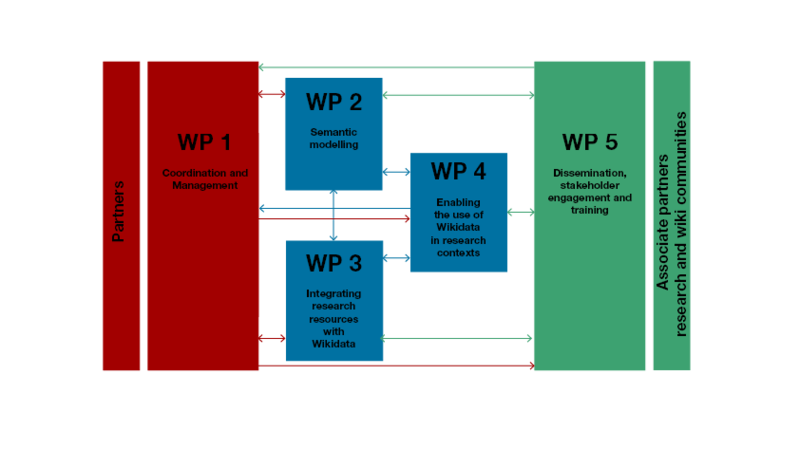 Therefore, a Horizon 2020 project plan was put together by a team of six European partners led by the Museum für Naturkunde Berlin to integrate research workflows with Wikidata into a new virtual research environment (VRE) for Open Science, called Wiki4R. The plan combined approaches to make Wikidata useful for researchers both across disciplines and for several specific use cases, e.g. chemistry. The cross-disciplinary aspects included standard ways for handling scholarly references in Wikidata and for asking questions of Wikidata, whereas the chemical part focused on how to describe Wikidata entries for chemical topics like molecules, solvents or reactions and pathways, how to link this information to scholarly databases and publications, and how to ask chemical questions of Wikidata. These technical parts of the proposal were complemented by parts on how to bring Wikidata together with citizen science projects, on what the value proposition of openness is for institutions, and on training activities. The grant proposal was submitted in January and ultimately rejected, but its drafters believe it contains a range of ideas that may still be worth pursuing. In fact, efforts to handle scholarly references through Wikidata are ongoing, and Wikidata can now be queried for things like a list of countries ordered by the number of their cities with a female mayor. “The idea of a closer integration between Wikidata and research workflows is not itself rejected, and we believe that it is useful for both the research and Wikimedia communities to continue to explore the opportunities here, to pilot them and to keep talking to funders and other stakeholders about the value that such infrastructure would provide to society, so they can consider making the necessary resources available,” comments Dr. Daniel Mietchen, who spearheaded the effort. In order to stimulate such activities, the Wiki4R proposal is among the first ones published via the new open-access journal Research Ideas & Outcomes (RIO). The innovative platform accepts submissions of scholarly works from the entire research life-cycle, including research ideas and proposals that are deemed to be valuable to scholarly research and its future.